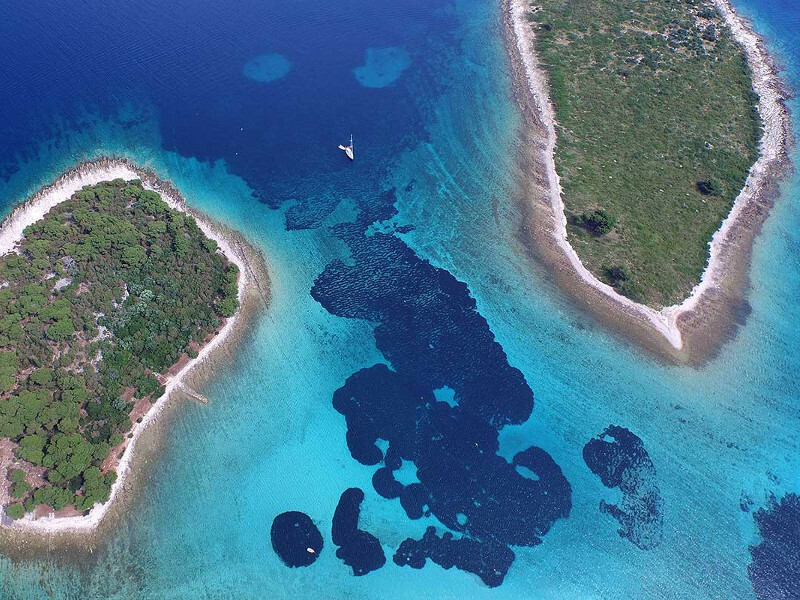 Krknjasi islands at the Blue Lagoon represent the unspoilt pristine sailing areas of Croatia. This stretch of Adriatic coastlines offers many anchorages - spending the night at a marina is not necessary. Similar to the Ionian farther south in Greece the weather is mild: light winds and no waves during the sailing season.